Edward B. WHITE was born in Oct 1872 in , , Arkansas. He died before 1943. Edward married Willie E. LESTER. Willie E. LESTER [Parents] was born on 14 Oct 1871 in Cameron, Milam, Texas. She died on 17 Feb 1943 in Austin, Travis, Texas. She was buried on 18 Feb 1943 in Houston, Harris, Texas. Willie married Edward B. WHITE. William B. WHITE [Parents] was born on 25 Apr 1851 in Jones Prairie, Milam, Texas. He died on 31 May 1932 in Cameron, Milam, Texas. William married Erie GRIFFIN in 1903 in , Milam, Texas. Erie GRIFFIN was born in 1879 in , , Texas. Erie married William B. WHITE in 1903 in , Milam, Texas. Cleo WHITE was born in 1904 in , Milam, Texas. Mildred WHITE was born in 1906 in , Milam, Texas. Leroy WHITE was born in 1908 in , Milam, Texas. Gen. Allen JONES "Sr" [Parents] was born on 24 Dec 1739 in Albemarle Parish, Sussex, Virginia. He died on 10 Nov 1798 in Mt. Gallant, Northampton, Virginia. Allen married Penelope BROCK in 1785. Penelope BROCK was born in 1760. Penelope married Gen. Allen JONES "Sr" in 1785. 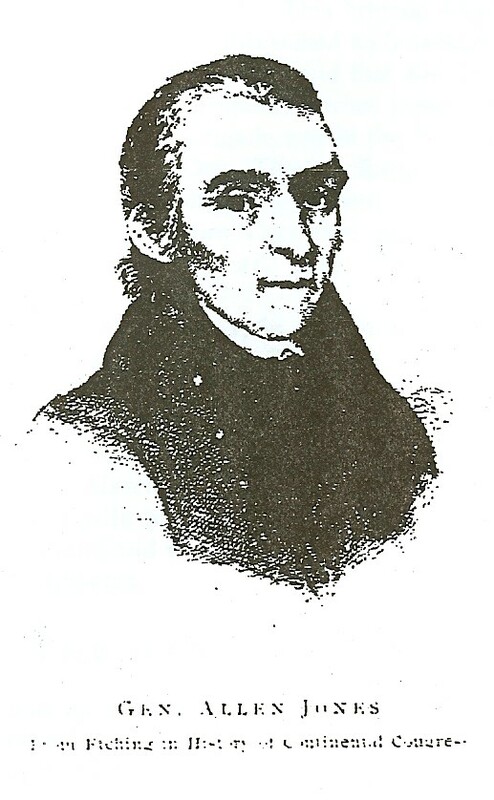 Simon J. JONES was born about 1786. Robert B. COKER "III" was born in 1796 in , , South Carolina. He died in 1850/1860 in , Murray, Georgia. He was buried in Indian Creek Cemetery, Comanche, Comanche, Texas. Robert married Elizabeth LAKE. Elizabeth LAKE was born in 1794 in , Newberry, South Carolina. She died in 1871/1880 in Indian Creek, Comanche, Comanche, Texas. She was buried in Indian Creek Cemetery, Comanche, Comanche, Texas. Elizabeth married Robert B. COKER "III". F i Martha Addie COKER was born on 23 Sep 1818. She died on 4 Jan 1911. M ii Rev. Mansel O. COKER was born on 5 Oct 1820. He died on 12 Jun 1903. Leonard Thomas COKER was born on 9 Jul 1824 in , Walton, Georgia. He died on 7 Jan 1880 in Comanche, Comanche, Texas. Alfred A. COKER was born in 1826 in , Walton, Georgia. M v Robert Collie COKER was born on 10 Jan 1828. He died on 18 Aug 1913. Charlotte COKER was born in 1830 in , Murray, Georgia. F vii Hannah Elizabeth COKER was born on 23 Mar 1831. She died on 9 Dec 1889. Joel S. COKER was born in 1831 in , Murray, Georgia. M ix Peyton L. COKER was born on 8 Feb 1834. He died on 28 Dec 1912. F x Mary R. J. COKER was born on 26 Nov 1836. She died on 16 May 1917. Frances COKER was born in 1837 in , Murray, Georgia. Parthena COKER was born in 1838 in , Murray, Georgia. Jane COKER was born on 27 Jul 1844. She died on 24 May 1930 in Indian Creek, Comanche, Texas. William Spencer MC GUIRE [Parents] was born on 4 Sep 1804 in , Iredell, North Carolina. He died in 1841 in , Walker, Georgia. William married Sarah BURTON. Sarah BURTON was born in 1805 in , , North Carolina. She died in 1841 in , Walker, Georgia. Sarah married William Spencer MC GUIRE. John Alphus MC GUIRE was born on 15 May 1823 in , Iredell, North Carolina. He died on 25 Mar 1899 in Comanche, Comanche, Texas. F ii Elizabeth Ann MC GUIRE was born on 23 Oct 1825. She died on 8 Sep 1888. E. Wiley MC GUIRE was born in 1825. Burton MC GUIRE was born in 1827. Mary MC GUIRE was born in 1829. M vi James Martin MC GUIRE was born on 15 Aug 1833. He died on 24 Mar 1917. Daniel W. MC GUIRE was born on 4 Jun 1835 in , , Georgia. He died on 25 Jul 1862. Sarah I. MC GUIRE was born in 1838 in , , Georgia. Robert Collie COKER [Parents] was born on 10 Jan 1828 in , Walton, Georgia. He died on 18 Aug 1913 in , Comanche, Texas. He was buried in Indian Creek Cemetery, Comanche, Texas. Robert married Mary Unicia HARDIN on 8 Nov 1851 in , Murray, Georgia. Mary Unicia HARDIN was born on 8 May 1832 in , , North Carolina. She died on 23 Dec 1884 in , Comanche, Texas. She was buried in Indian Creek Cemetery, Comanche, Texas. Mary married Robert Collie COKER on 8 Nov 1851 in , Murray, Georgia. F i Mary Elizabeth COKER was born in Sep 1854. She died on 11 Oct 1938. John W. COKER was born on 1 Sep 1855 in , , Georgia. He died on 9 Nov 1925 in Comanche, Comanche, Texas. F iii Nancy E. COKER was born on 7 Mar 1857. She died on 17 Dec 1939. F iv Easter COKER was born in Dec 1859. She died on 12 Jan 1941. Sarah COKER was born in 1866 in , , Georgia. She died in , , Texas. William R. COKER was born in Sep 1868 in , , Georgia. He died in , , Texas. Emery Joseph COKER was born on 24 Feb 1874 in , Comanche, Texas. He died on 9 Feb 1900 in Comanche, Comanche, Texas. F viii Emily Josephine COKER was born on 24 Feb 1874. She died on 10 Mar 1932. George Emery COKER was born in 1876 in , , Texas. He died in 1966 in Oklahoma City, Oklahoma, Oklahoma. James Oliver QUINN was born on 18 Jun 1860 in , , Georgia. He died on 30 Jun 1918 in , Comanche, Texas. He was buried in Indian Creek Cemetery, Comanche, Texas. James married Nancy E. COKER on 7 Apr 1881 in , Comanche, Texas. Nancy E. COKER [Parents] was born on 7 Mar 1857 in , , Georgia. She died on 17 Dec 1939 in , Comanche, Texas. She was buried in Indian Creek Cemetery, Comanche, Texas. Nancy married James Oliver QUINN on 7 Apr 1881 in , Comanche, Texas. Ada QUINN was born in May 1886 in , Comanche, Texas. Ivy QUINN was born in Apr 1890 in , Comanche, Texas. Georgia QUINN was born in Oct 1892 in , Comanche, Texas. F iv Minnie Josephine QUINN was born on 23 Jan 1900. She died on 4 Feb 1982. John Asbury REDWINE was born on 20 May 1828 in Gwinnett, Georgia. He died on 4 May 1876 in Comanche, Comanche, Texas. John married Hannah Elizabeth COKER in 1851 in Chatsworth, Murray, Georgia. Hannah Elizabeth COKER [Parents] was born on 23 Mar 1831 in , Murray, Georgia. She died on 9 Dec 1889 in Comanche, Comanche, Texas. She was buried in Indian Creek Cemetery, Comanche, Texas. Hannah married John Asbury REDWINE in 1851 in Chatsworth, Murray, Georgia. Sarah Frances REDWINE was born on 1 Feb 1854 in , , Georgia. She died on 6 Dec 1891 in Comanche, Comanche, Texas. Joseph A. "Joe" JONES was born on 31 Mar 1871 in , , Arkansas. He died on 29 Sep 1969 in , Comanche, Texas. He was buried in Indian Creek Cemetery, Comanche, Texas. Joseph married Emily Josephine COKER in 16 Oct 18i92 in , Comanche, Texas. Emily Josephine COKER [Parents] was born on 24 Feb 1874 in , , Texas. She died on 10 Mar 1932 in , Lamb, Texas or Comanche, Texas. She was buried in Indian Creek Cemetery, Comanche, Texas. Emily married Joseph A. "Joe" JONES in 16 Oct 18i92 in , Comanche, Texas. Bessie B. JONES was born in May 1894 in , Comanche, Texas. Adrain C. JONES was born on 11 Nov 1895 in , Comanche, Texas. Aletha JONES was born in 1904 in , Comanche, Texas. Aubrey Rankin JONES was born on 11 Jun 1911 in , Comanche, Texas. He died on 15 Jul 2001. Clyde Allen LUPER was born on 29 Jul 1896 in Indian Territory, Oklahoma. He died on 3 Mar 1965 in , Comanche, Texas. Clyde married Minnie Josephine QUINN. Minnie Josephine QUINN [Parents] was born on 23 Jan 1900 in , , Texas. She died on 4 Feb 1982 in Fort Worth, Tarrant, Texas. Minnie married Clyde Allen LUPER.